May 30th, 2:30 pm, 3:15 pm, 4:15 pm and 5:15 pm: Theatre play “Mother of Normandy” evoking the life of Simone Renaud (wife of Mayor in 1944) Bilingual Theatre play. 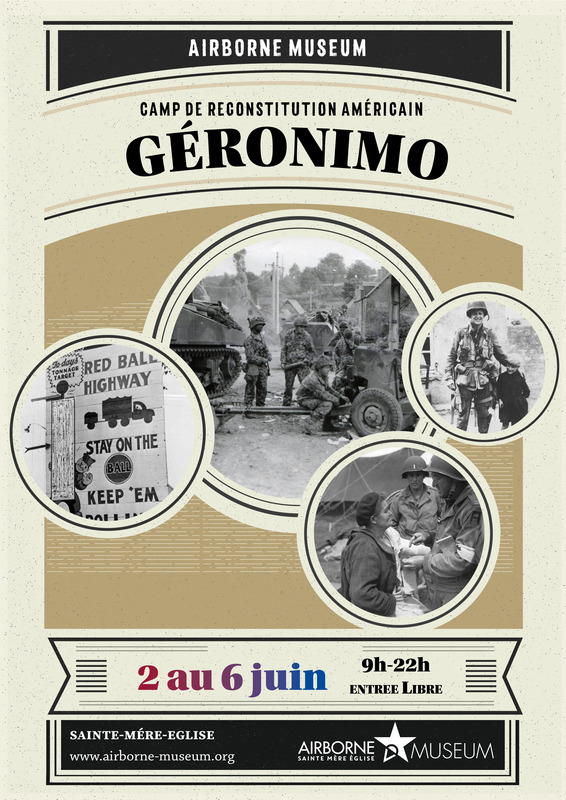 Re-enactment of a American camp featuring the American airborne troops in Normandy. June 26th, 8 pm 30 : Concert of Hazel Miller. Hazel Miller is not just a great singer, “she is a force of nature!” quotes the Rocky Mountain News. Her voice has been called “stunning, moving and powerful.” Hazel has been a sought after performer in Colorado for the past 24 years. Whether she is singing blues, jazz, pop, or Gospel, her voice charges the songs with a primal dose of genuine soul. Hazel began her 38-year career in Louisville, Kentucky, where she rose to the top of the music scene. She opened for popular artists such as Mel Torme, James Brown, Temptations, Earl Klugh, Bob James and many others.